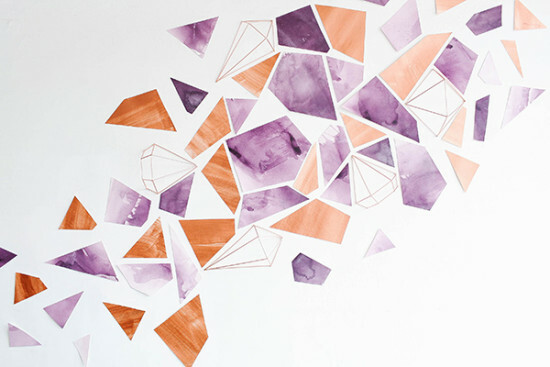 Purple and copper come together in a way we never thought possible and we hope you love this next shoot as much as we do! 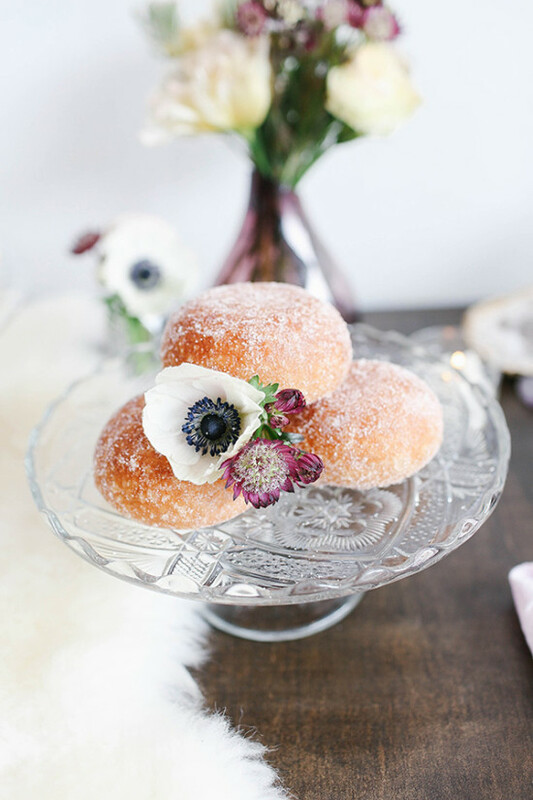 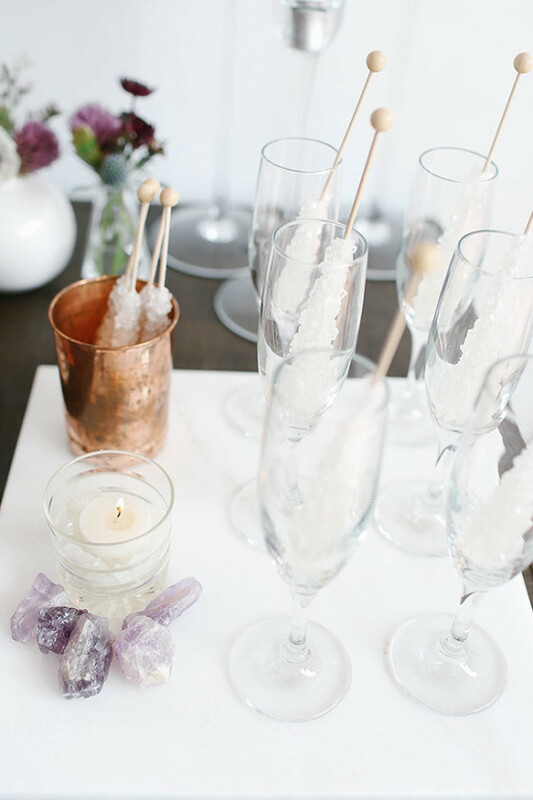 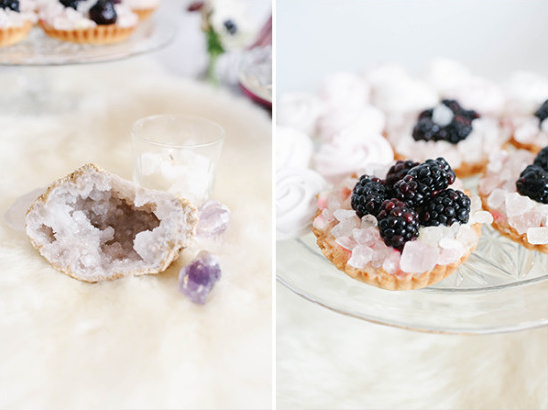 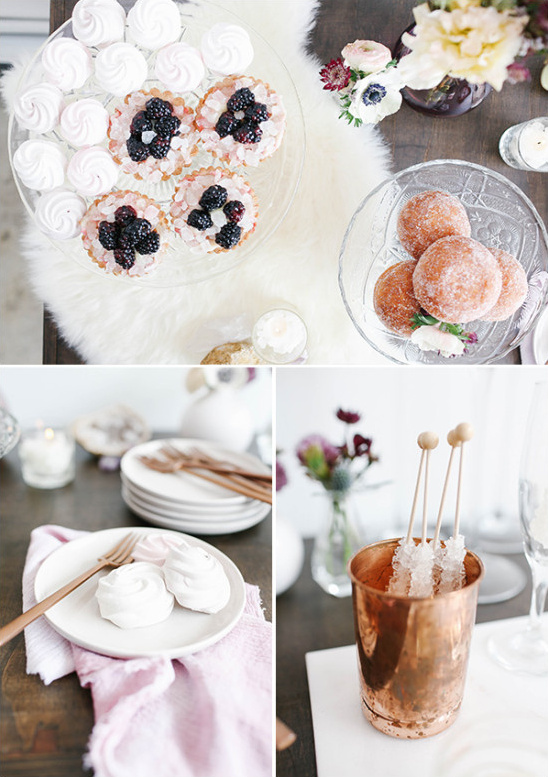 The talented team at Event Science used natural geodes, soft furs and copper place settings to create a modern boho vibe that's pretty dreamy, and it's the perfect decor for your rehearsal dinner! 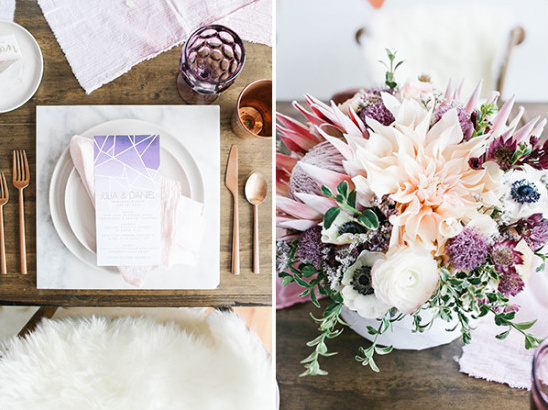 There is so much to see, so keep scrolling for more beautiful details from this modern protea wedding rehearsal dinner captured by Ally Burnette photography, then swing by the full gallery for an even closer look at the full shoot. 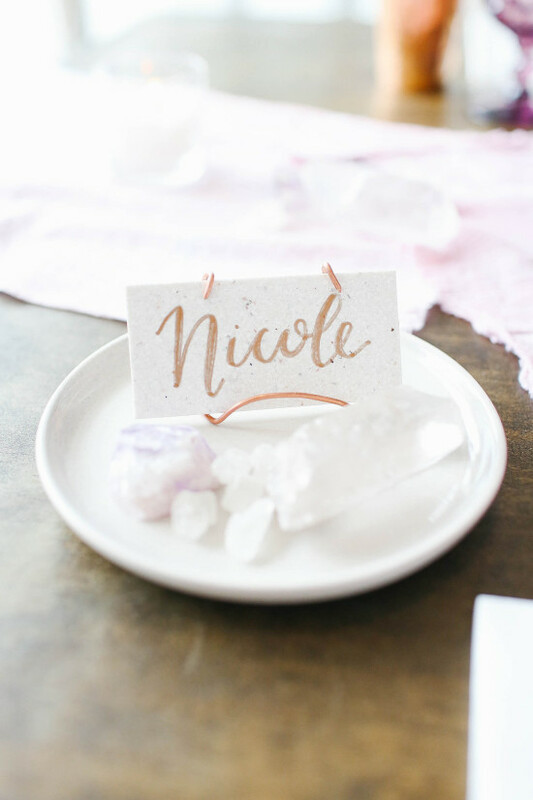 Ally Burnette: Make Do Handmade utilized loose and whimsical calligraphy to make the marble place cards, which, when paired with our mini hand-made copper easels, could function as personalized favors for your guests. 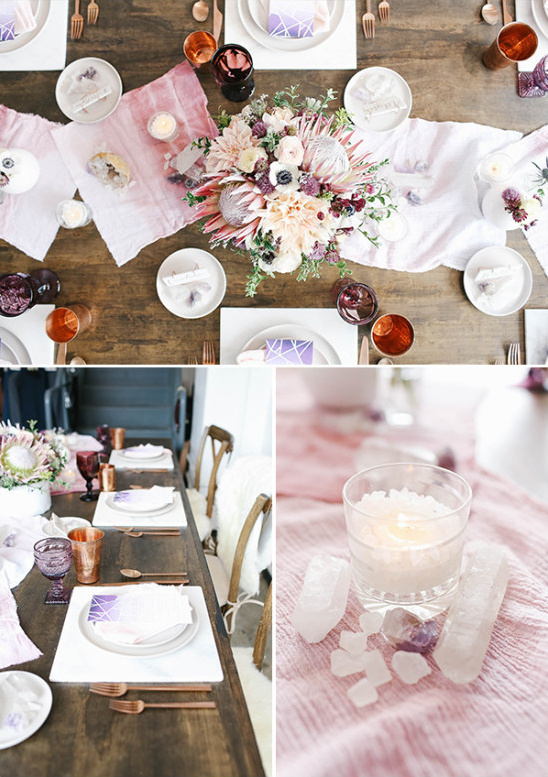 The gals at Event Science dreamed up and styled the modern bohemian design, while Ally Burnette’s photography captured all the pretty details and brought this enchanting inspiration to life! 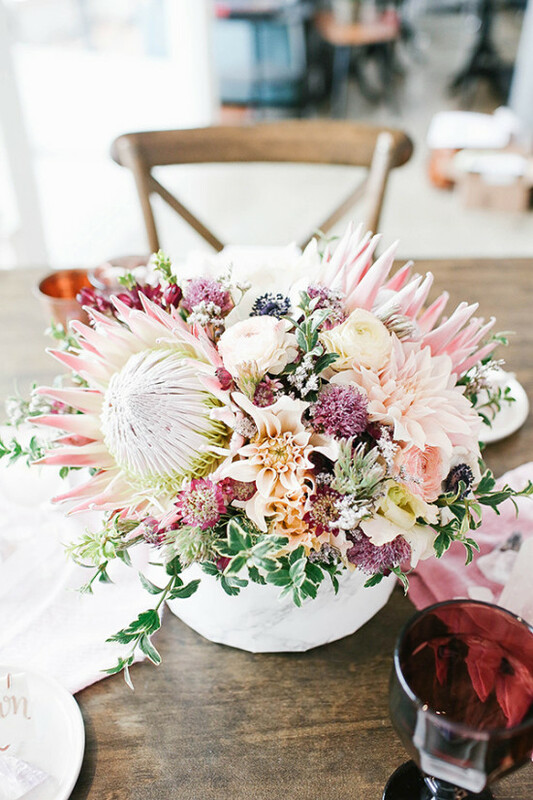 Confetti and Bloom created our stunning floral centerpiece, balancing the perfect combination of striking king protea blooms with delicate blush dahlias, ranunculus, anemones, and thistle inside a wide marble vessel. 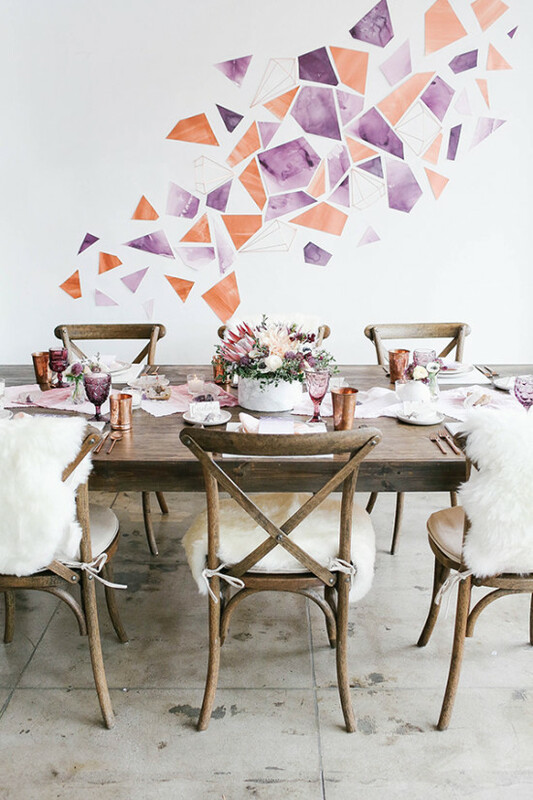 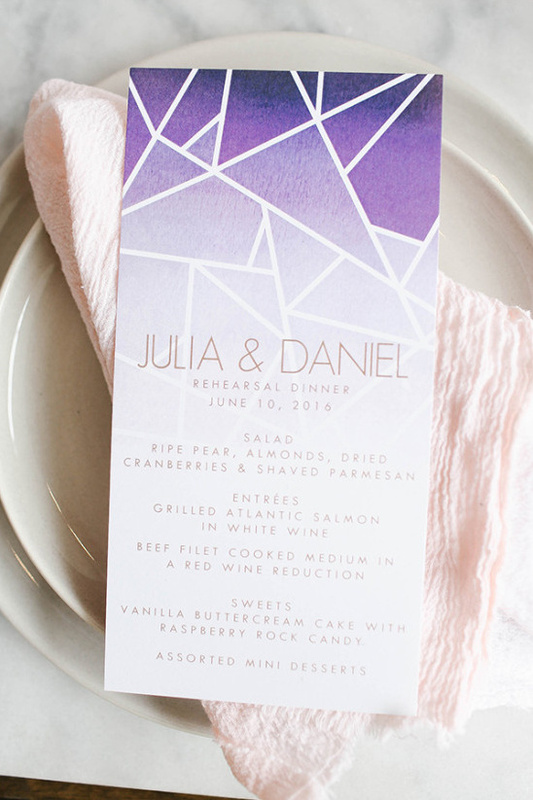 Paper Plum designed a bold, custom menu using a beautiful plum-to-lavender gradient and copper text, as well as a graphic paper installation that marries watercolor, geometric shapes, and three-dimensional copper gems. 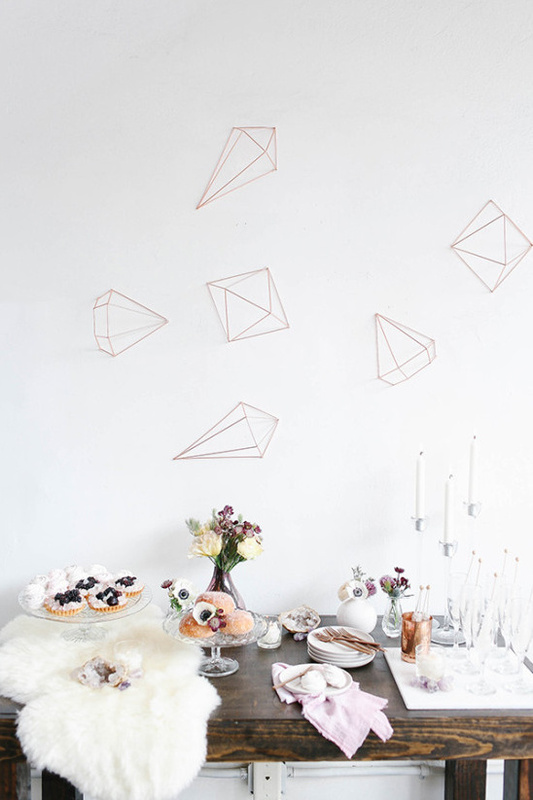 The installation made a stunning modern backdrop, framing the dinner as if it were a living piece of art!